Hello, I am a leukocyte, but I usually go by my nickname; white blood cell. I have a brother named erythrocyte, but he usually goes by his nickname; red blood cell. As you can probably guess, I am very pale compared to my brother who is quite redder in the face. I .am less popular within my host. With about only 1% of blood is made up of things like me, but that doesn’t mean I am not important, I have a very important job; to protect my host from any danger or possible threats. I do that by circulating around my host to make sure everything is okay. If there is something bad that happens, my and my friends all rush in to help defeat the intruder and prevent any further harm. I don’t know where I was born, but it was in some weird soft stuff inside a large tube. There are about 5 different social groups within the leukocytes like me. There are the Monocytes, the Lymphocytes, the Neutrophils, the Eosinophils and the Basophils. They all play different parts, but they all help in the process of protecting our home. I myself am part of the Neutrophils, I kill and digest bacteria and fungi. We are the largest social group and we also are always the first ones when there is an intruder. My day usually consists of roaming around my host looking for intruders, more often than not we successfully defend against the substance. Sadly though, there are moments that we fail, and our host develops something from it. We call it sickness. We are devastated when that happens because we failed our only job and it was too strong for us. About 2 or 3 days after our defenses have been broken through, our host will get symptoms. It usually affects our hosts for about a week. But sometimes it will last two. I usually enjoy my role but one day everything changed. More people like me were being born but the thing was, they were very weirdly shaped and I didn’t know why. They were coming from the long tube where we normally are made. They were coming at an alarming rate and it started to scare us all. It was at an uncontrollable rate. The bursts of leukocyte production meant one thing. My patient had something call Leukemia; which is a kind of cancer. All of this was like a dream, I had no idea was I was going to do, I worked as hard as I could until… I died. What does a Leukocyte do? Where is a Leukocyte found? What does a Leukocyte look like? Why does a human need Leukocytes? What is the life span of a Leukocyte? I used google as a search engine to find some questions, mostly the ones about Leukocytes. I tried using EBSCO host but I couldn’t find anything useful. I did however use Gale engaged learning to read about Leukemia. Also, I used a citation machine to cite my sources. I did find information that answered my questions perfectly. “What Are White Blood Cells?” Content – Health Encyclopedia – University of Rochester Medical Center, 2018, www.urmc.rochester.edu/encyclopedia/content.aspx?contenttypeid=160. Hammar, Lawrence. “Leukemia.” The Gale Encyclopedia of Science, edited by K. Lee Lerner and Brenda Wilmoth Lerner, 5th ed., Gale, 2014. Science In Context, http://link.galegroup.com/apps/doc/CV2644031301/SCIC?u=43riss&sid=SCIC&xid=8d4177ba. Accessed 26 Apr. 2018. I believe that it went well. It was my first time doing something like this so it was all very new to me. I think I followed the steps properly and that it all went smoothly for the time that I had. Improvements that could be made will probably be found out when I receive my mark. What Pain Reliever Dissolves the Quickest? Our challenge today is to make the most realistic setting in our classroom to replicate a human’s stomach acid. So we searched online about ways that we could do it. Common ways to replicate stomach acid that we found online was just vinegar. 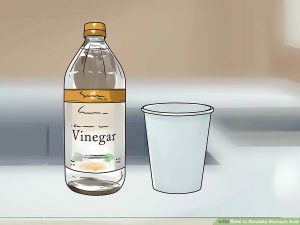 I had a whole idea to mix vinegar with lemon juice because it would look cooler and more realistic, along with having a sound hose to replicate the esophagus as it went down but my group shut me down because we had 1 day to prepare and that took too much work. We also made sure to find the correct temperature of the stomach so we could use our heating pad to replicate it. We ended up doing the most common way of using vinegar and a heating pad. From our experiment we found that vinegar was useful in dissolving the pills (Except Advil). It seemed that the internet was correct in it’s idea of replicating stomach acid. We do not not know how Advil is supposed to work so we will have to do some follow up research on that because it did not dissolve at all. You can see in our chart the order of which pills dissolved quickest. With Aspirin and Acetaminophen being the quickest by a large margin over Tylenol and Motril.